Ehab Baraka, Adel M. Khadr, Tharwat M. Elshemey, Salem S.A.H., Amir H. Abd-Elrahman, Osama M. Abas. Caprine Arthritis Encephalitis (CAE) is a chronic viral disease of domestic goats caused by a member of lentivirus of the family Retroviridae. In this study. 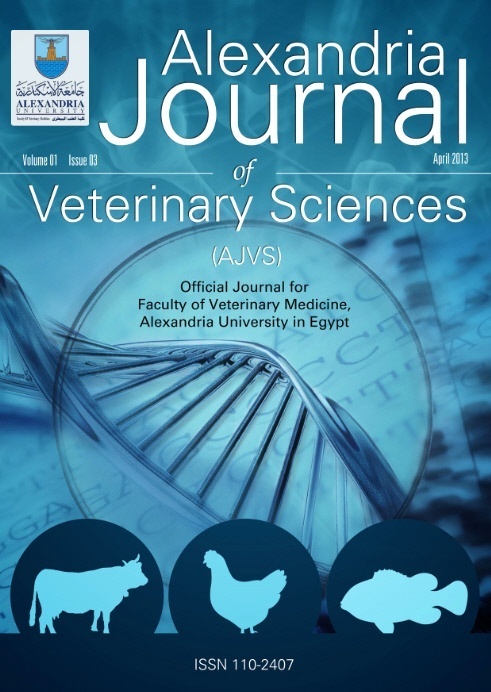 The prevalence of caprine arthritis encephalitis virus in two governorates in Egypt was investigated. A total of 176 serum samples were collected from local (Egyptian Nubian, Egyptian baladi which is the native breed) and foreign breeds (barki and shami) of goats from ten flocks from different localities in Behera and Alexandria governorates. Enzyme-linked-immuno-sorbent assay (ELISA) was employed for detection of anti –p28 antibodies directed against CAEV. Sero prevalence on the herd level was 30% (3/10 herds were positive). Sero prevalence on the individual level was 8.52%. All sero positive animals were from the breed Barki (15/106) at a percentage of 14.15%. Higher percentages of positive animals were recorded in females and at age between 4-5 years. All serologically positive cases (15) were in animals raised by open system (132), at a percentage of 11.36%. There was 100% correlation between the results of ELISA test in caprine serum and milk whey samples. In conclusion: The best of our knowledge this is the first study recorded the presence of caprine arthritis encephalitis in Egypt and further study to characterize the virus and wider seroprevalence study is required. The Milk whey ELISA test proved to be accurate simple non-invasive technique for surveillance of the disease on herd bases.